The article presents an array of meanings of Wielka Improwizacja (The Great Improvisation) read with respect to persisting impact of Forefathers’ Eve Part Three on Polish national identity and social behaviour. The author analyses the concept of Konrad and the poet’s identification with the protagonist, and her interest is in the subject’s successive strengthening and lessening – a continuous existential theme in Mickiewicz’s creativity – and in a similar depiction of creative process dynamics in The Great Improvisation. The context of considerations are three poems: Do Samotności (To Solitude), Te rozkwitłe świeżo drzewa… (The newly blossomed trees…) and Ja w mej chacie spać nie mogę… (I cannot sleep in my house…) interpreted as a development of subjectivity issues and poetological themes of Forefathers’ Eve. The poems in which lessening of subjectivity in comparison with an excessively strong subject of The Great Improvisation is observed are viewed as thematic variants and poetic appositions and commentaries to the entirety of Forefathers’ Eve Part Three, deconstructing and nuancing its pathos. The article is devoted to the theme of Adam Mickiewicz’s Pan Tadeusz’s functioning in the latest Polish poetry. 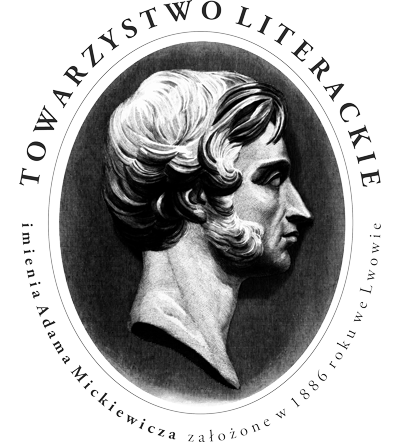 The author of the article analyses and interprets those pieces in which one finds numerous references to Mickiewicz’s work. In doing that, Maryjka offers to-date reception of Tomasz Różycki’s poem Dwanaście stacji (Twelve Stations), most famous piece of poetry composed in the last years referring to Mickiewicz’s epopee, and enriches that part with his interpretive propositions. Pieces by other poets, e.g. Paweł Marcinkiewicz’s Diarhoea as well as Dariusz Suska’s Elegia podróżna (Travel Elegy), and Światło (Light) are also subject of analysis. Following Mickiewicz’s traces allows the author to answer the questions about the role of literary tradition in the eyes of poets and Mickiewicz’s creativity itself. Memories, atmosphere and artistic tricks of Romanticism are discernible in the creativity of a number of contemporary Polish writers. The authors of the article point at such romantic yearnings in some books by Andrzej Stasiuk, Olga Tokarczuk, as well as in movies by Jan Komasa and by Kamil Polak. The object of interpretation are references to the Romantic sensual and imagination discovered in the mentioned creativity. The analysis was carried out by simultaneous reading these Romantic works, the context of whose seemed close to the modern ones. The authors attempt to settle the problem of the mode the Romantic heritage is present in contemporary cultural texts and analyse the judgements formulated on the subject in the last few dozens of years. The paper is a record of a discussion held at one of a cycle of seminars within the research project carried out by professor Marta Piwińska at the Institute of Literary Research of the Polish Academy of Sciences. The aim of the article is to reflect on the relationship between past and present in Cyprian Norwid’s Tajemnica lorda Singelworth (Lord Singelworth’s Secret), since the character from the novella’s title travels in a space marked by great history of the Republic of Venice. In this respect, Norwid gives on the topography of the city sightseen by the character the topography of memory. This memory brings back not only political history, but first and foremost the biographies of individuals crashed by the mechanisms of late modernity. Reflection on the role of history and memory in the reality of European social life in the second half of 19th century allows to picture the image of arising modernity – the process of Haussmannisation – criticised by Norwid, in its late phase. Jan Szczepański, a sociologist, as well as bibliophiles and amateur historians Jan Wantuła and Józef Pilch are joined not only by their birthplace (Ustroń, Cieszyn Silesia), peasant origin and Evangelical denomination. They also were men of letters who projected their identity in relation to voraciously red literature. The article presents the references to their favourite writers and scholars systematised in their own writings. For Szczepański, these are Słowacki, Sienkiewicz, and Conrad; for Pilch – Mickiewicz, Pigoń, Sienkiewicz, while for Wantuła, Sienkiewicz, Prus, and Ochorowicz. The author of the sketch considers the reasons for such fascinations and what they speak about the article’s protagonists’ self-understanding. End point in this respect is indicating their common outlook on life which they linked with peasant-Protestant ethos and at the same time confronted with the admired writer’s ideas. Romantic irony is subject of reflection mainly in Paul de Man’s two pieces, namely The Rhetoric of Temporality and The Concept of Irony. The aim of the article is to indicate that many structures of thinking derived from the key aesthetic structure of Early German Romanticism also act in the deconstructionist’s other writings. In this mode the romantic irony becomes a hero – often unnamed, but important – of de Man’s most crucial arguments presenting his aporia-centered concept of language and literature. The article also takes up the issue of de Man writings’ reception; it seems that incomprehension or open reluctance they often evoke stem from their too-literal reading. De Man, by contrast, though often in a veiled way, demands from his audience a non-literal reading (in line with the assumed non-obviousness of the borderline between literature and criticism), while irony for de Man is not only a subject of research, but a writing method itself strongly inspired by the creativity of the Romantics. The article, mainly based on multivolume edition of Henryk Sienkiewicz’s Listy (Letters) prepared by Maria Bokszczanin, recollects a real and anecdotal history of two financial rewards which the writer received after completing his Trylogia (The Trilogy) in the year 1888: the first – an insignificant one, amounting to 500 Austro-Hungarian guldens, a “bonus” from the Lviv organisation, so-called Franciszek Kochman’s Foundation paid in June and of which Sienkiewicz biographers knew very little, and the second, referred to as “Wołodyjowski’s gift,” a sum of 15,000 rubles in silver, which awaited the writer’s arrival to Warsaw in December that year. The second reward incited research and anecdotes connected with a few figures, mainly with Maria Czosnowska of the Hołowińscy, and was most probably (since conclusive evidence was not found) founded largely by Konstanty and Ludwik Górscy, i.e. Warsaw literary and financial community, troubled by the second place given to Sienkiewicz in Kochman competition in Lviv. The author of the article also collects pieces of information on Franciszek Kochman’s foundation for Polish writers. “Dear Dorian d’Ugenta,” Leon Chwistek wrote in his letter to Stanisław Ignacy Witkiewicz, making a double allusion to his friend’s literary inspirations, namely to Oscar Wilde’s novel The Picture of Dorian Gray and Gabriele D’Annunzio’s Il piacere (The Child of Pleasure), in the latter of which the character is Andrea Sperelli, count Ugenta. D’Annunzio’s work played a crucial role in forming 622 upadki Bunga (The 622 Downfalls of Bungo), which is evidenced by the similarity of topics and the modes of their formal presentation. Young artists, protagonists of the two pieces, are embroiled into a merge of life and art. The novels’ titles are complementary – Andrea and Bungo suffer defeat since fallacious pleasure inevitably leads to a downfall. The 622 Downfalls of Bungo is to a great extent an autobiographical novel. Similarly, D’Annunzio would plait into his works such as Il fuoco (The Flame of Life) or Trionfo della morte (The Triumph of Death) facts from his own life. Jan Józef Lipski is a legend in the community of The Institute of Literary Research: Warsaw insurrectionist, literary scholar, literary critic (from the beginning he wrote warmly about Herbert’s and Białoszewski’s literary debuts), editor (for example, in collaboration with his wife Maria, he published a selection of Nowe Ateny <New Athens> by priest Benedykt Chmielowski), and publisher (he worked for Państwowy Instytut Wydawniczy Publishing House, and one of his achievement is, e.g. a renewed edition of Ferdydurke in the year 1956). For all his adult life he was related to the Institute of Literary Research. His biography as a Polish scholar suffered greatly from repression due to his oppositionist activity, which is worth recollecting. 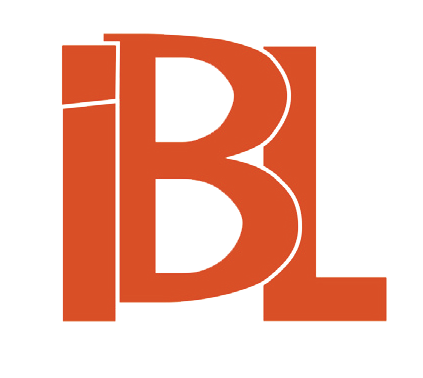 The present article is the second part of Lipski’s Institute biography. It presents his Polish studies life from the year 1961. 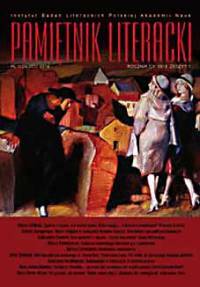 The first part of the article was published in “Pamiętnik Literacki” (“Literary Memoir”) in the year 2014, issue 1: Jan Józef Lipski at The Institute of Literary Research. The Early Years (1950–1961). The review contains an investigation of Danuta Zawadzka’s monograph Lelewel i Mickiewicz. Paralela (Lelewel and Mickiewicz. A Parallel) (here referred to as “outstanding”) focused on most crucial and undertaken in most exploratory manner issues gathered in the comprehensive volume. The reviewer remarks on the interdisciplinary character of the study, namely on the mingling of historiography and history of literature, narrativism and history of ideas, postcolonial studies and memory studies. He also emphasises a large span of problems discussed in the book, which reveal, inter alia, Mickiewicz’s and Lelewel’s approach to truth in history research, their understanding Polish national identity and perception of Lithuanian historical heritage, as well as many various questions which prove vital from the viewpoint of history of Polish Romanticism and 19th century historiography. The review discusses the Ossolineum publication of Juliusz Słowacki’s [Dziennik z lat 1847–1849] ([Diary from the years 1847–1849]) in Jacek Brzozowski and Katarzyna Szumska’s paragon edition. Worth noting is the book’s superb typographic matter and content, namely handwriting images, text transcription and transliteration – all of which is supplemented with an excellent editorial commentary and prefaced by Jacek Brzozowski who describes the manuscript and earlier editions of its fragments. The text discusses Agnieszka Ziołowicz’s book Poszukiwanie wspólnoty. Estetyka dramatyczności a więź międzyludzka w literaturze polskiego romantyzmu (preliminaria) (Searching for Community. 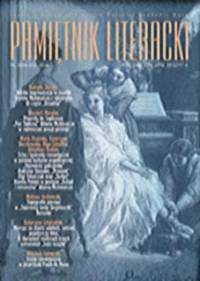 Aesthetics of the Dramatic and Interpersonal Bond in Polish Romantic Literature <Preliminaria>, 2011) on a noticeable in Romantic literature chain of issues in literary genetics and aesthetics, as well as on the reflection on community and the communal. The review discusses a collection of Julian Maślanka’s 16 sketches whose author, an outstanding literature and culture scholar, comparatist, folklorist and editor, takes up such significant topics as Mickiewicz’s Paris lectures on Slavonic literatures, folklore in the views of Romantics, as well as the figure of Julian Klaczko – a writer, politician and Polish patriot. The focus of the papers is also on studies devoted to editing: on the text of Beniowski, on editorial problems in Norwid’s dramas, and Stanisław Pigoń’s editorial issues. The review discusses Joanna Jeziorska-Haładyj’s book on textual exponents of fictional statements. At the outset, the reviewer sketches the state of research in the title problem and sets Jeziorska-Haładyj’s study in its context. Later, he recounts its main conclusions. Separate analyses are carried out on the thesis of metanarration as a determinant of the fiction and on the distinction between free indirect speech and free indirect thought functionalised in the book in question. The text presents the figure of late professor Zofia Trojanowiczowa (in November 2015), a literary historian and Polish romanticism researcher. The author recollects the pathways of her academic carrier at Adam Mickiewicz University in Poznań – the place to she was related, meticulously analyses her papers devoted to Cyprian Norwid’s creativity against the background of Norwid studies development in the last fifty years, and gives much place to professor Trojanowiczowa’s public life activity.